One million cars sold. Three hundred auctions a year. One hundred fifty cars an hour for three to five hours. Every. Single. Day. All of these numbers add up to my career as an auto auctioneer. I started out as a 26-year-old, with nothing more than piss and vinegar, as we say in the auction bid'ness. Now? I'm 43, hopelessly mellowed out, and they call me "The Professor." 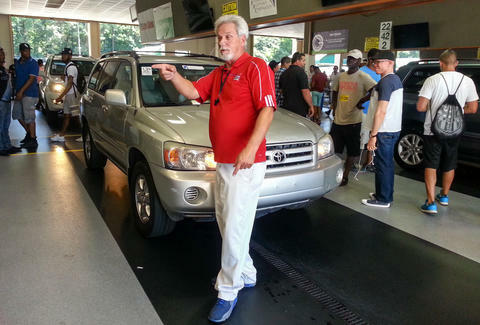 If your car is ever leased, traded in, totaled, or repossessed, chances are high it will be sent to a dealer-only auction at least once. I work in a free market where every single car is bought and sold in less than 20 seconds. The public is not invited for three simple reasons: money, time, and profit. So how'd I get into this racket? I owe my entire livelihood to the wisdom of one man. You might have heard of him. 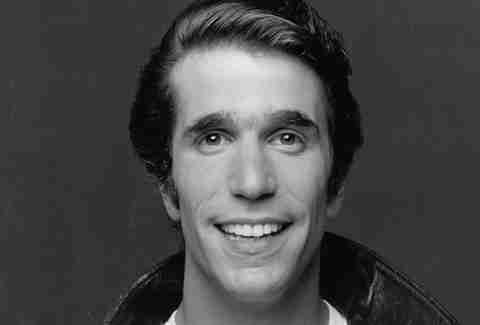 I owe it all to the Fonz. Really. I met Henry Winkler, aka TV's Arthur Fonzarelli, in 1997 at the Atlanta Jewish Federation. Back then, I spent most of my waking hours underneath florescent lights, making numbers dance on a computer as a financial analyst for 60-plus hours each week. Winkler met with hundreds of young and unhappy 20-somethings back then. When I told him, with a tone of sad defeat, that I was a financial analyst, he said, "You know, Steve, I never can imagine myself doing that for a living!" "You know what? Neither can I." My first sell? A huge red fire truck. My first "car" was a fire truck. 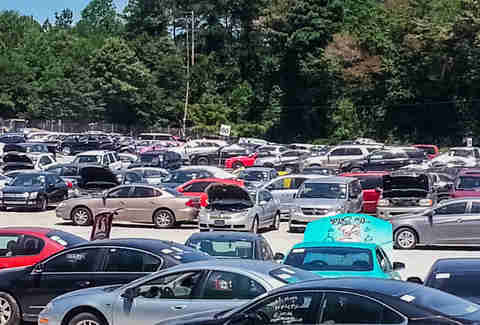 As I saw the red monstrosity slowly roll down to the auction block with the fire siren blaring and a few dozen dealers following it, my heart stopped. I pretty much freaked out. In fact, I didn't do a chant at all the first time I was an auctioneer. I sang it. "Two thousand-dollar bid now too! Ooh-ooh!!! Would you please? PLEASE!!! Give me two-ooh!" Everybody laughed their asses off. After the fire truck, it took a full year before I had the courage to go back on the block and try again. In the meantime, I worked as a ringman -- the guy who hoots, hollers, and helps the auctioneer create the urgency to buy. My job was to point at various dealers who were trying to get their bid acknowledged by the auctioneer and shout, "YEEEAAAHHHH!!!!" That, and begging men in their 40s and 50s to bid on a 12-year-old Lincoln, were pretty much my life skills at this point. Hey, we all have to start somewhere. That was my one of my great victories. You also get a lot of crap in the form of cheesy modifications at Wholesale Heaven. I have seen everything from a Chrysler PT Cruiser adorned with thousands of unique dollar bills to a Harley-Davidson enshrouded completely in leopard skin fur. 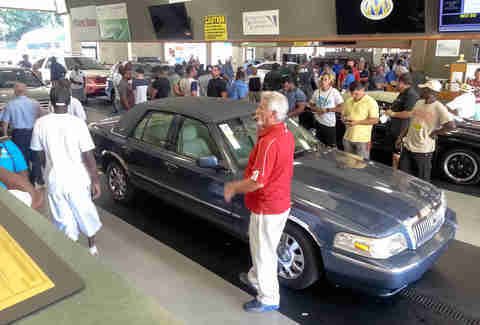 Wanna buy a car at auction? Everything is AS IS. Once you buy, it's yours. Even if what you just bought turns out to be a rolling turd. The key advantage to many government vehicles is they've been fleet maintained (regularly serviced). In the case of a common government vehicle, like a Ford Crown Victoria Police Interceptor, the mechanics knew what they were doing. You almost always have to put money into what you just bought. Always add a thousand to your budget, and don't buy with your eyes. Besides, most of these cars are just plain ugly.